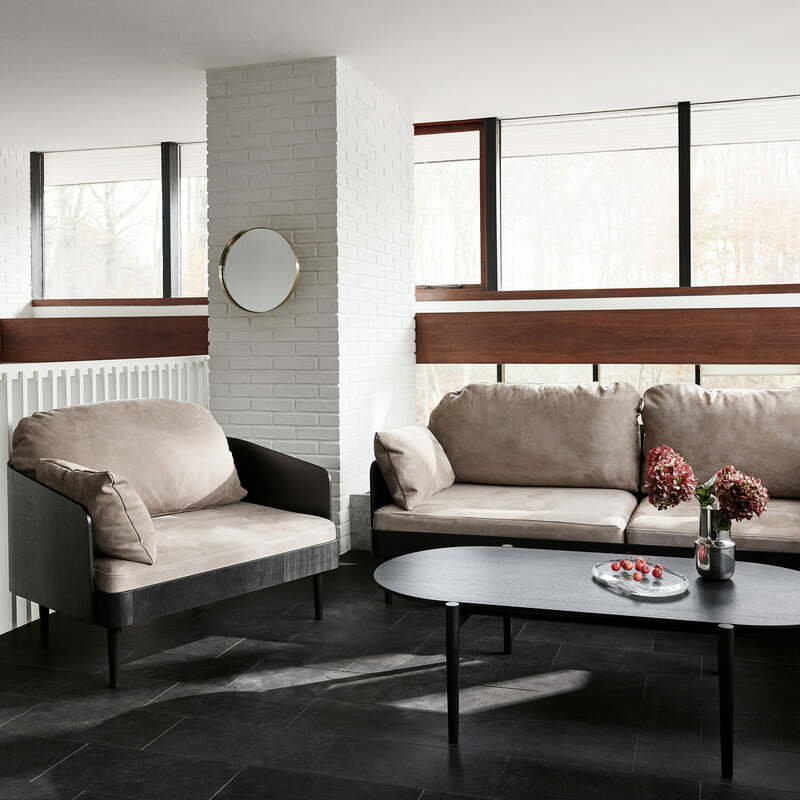 The Septembre sofa, manufactured by Menu, offers a comfortable place to sit for relaxing evenings in the living room. 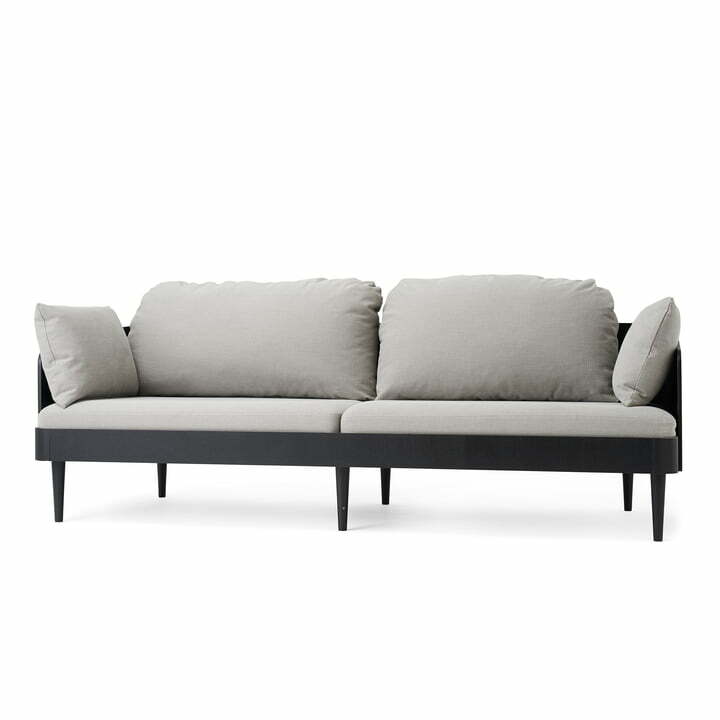 The sofa has a high curved backrest, an ash frame, leather upholstery and two pillows filled with foam. The sofa has a beautiful design both from the front and the back, so it is ideal as a freestanding piece in the middle of the room. The Septembre collection is characterized by fully padded and very comfortable furniture. In addition to the comfort, the furniture pieces have beautiful proportions and an elegant design. There is also a matching chair to go with the sofa. The sofa from the Septembre series by Menu with a black wood frame and light gray upholstery. 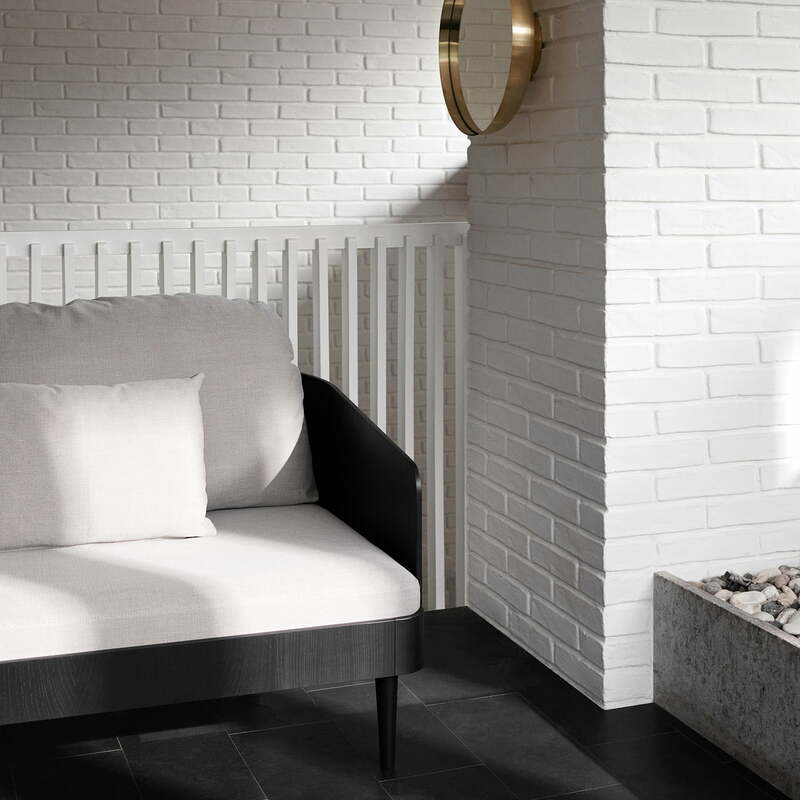 In addition to the high backrest, two cushions ensure extra comfort.